It's another game day weekend and in deciding on a menu, I wanted to serve up satisfying eats that I knew my family and friends would appreciate. That's when I decided on these Shredded BBQ Pork Sandwiches. The homemade BBQ sauce recipe in the 'Ultimate Barbequed Ribs' recipe I made was used because I loved how the bacon added a smoky flavor. The sauce in itself is finger lickin' good with just the right amount of sweetness so there was no doubt it would be delicious with shredded pork. For added convenience, the sauce could be made in advance and stored in your fridge until ready to use as a condiment or in the following recipe. 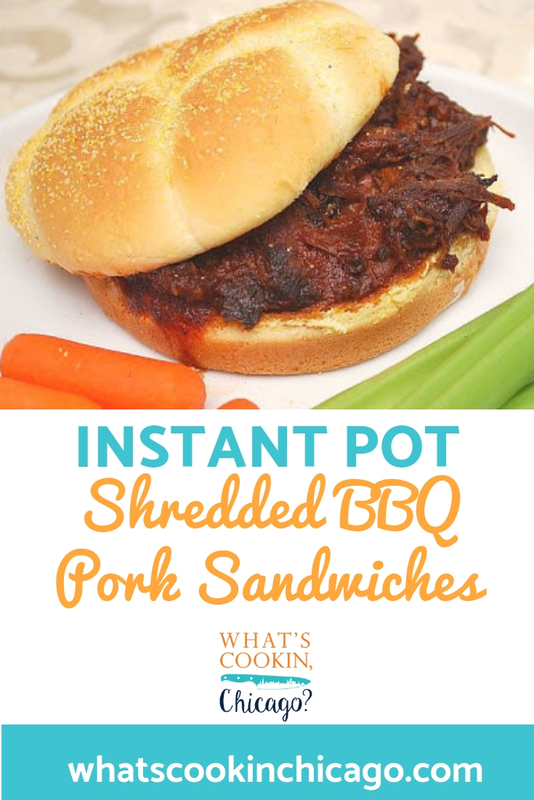 It couldn't be any more simpler - pour in the homemade BBQ sauce in my Instant Pot, add your seasoned pork and let it pressure cook. 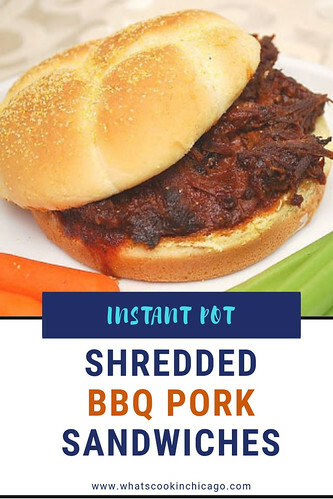 After it's done and your kitchen is filled with an amazing aroma of BBQ, shred the pork and make yourself a sandwich to enjoy. I found that the recipe could be made a day in advance and doing so allows the pork to absorb the BBQ sauce for a more intense flavor. But it doesn't stop there. 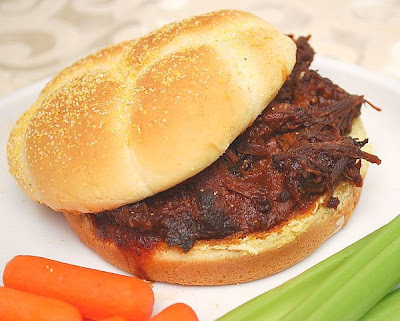 Feel free to top the shredded BBQ pork sandwiches with your preferred toppings like a cool and crunchy coleslaw or even cheese! Leftovers can be frozen too, making it a great recipe for freezer meals. Plug in IP with insert set in place. Season pork with salt, ground pepper and garlic powder; Transfer to IP. In a medium bowl, combine the BBQ sauce ingredients and add the BBQ sauce to the IP. The display will reflect ON while the IP comes to pressure. Allow a few minutes for IP to come to pressure. When the IP beeps after pressure cooking for 35 minutes, allow your IP to naturally release pressure for 15 minutes. While naturally releasing pressure (also known as NPR or NR), the display will reflect numbers counting up from 1. The numbers indicate how many minutes the IP has stopped cooking since it beeped (or how many minutes it has been naturally releasing pressure). No need to touch your IP while it naturally releases pressure. Shred pork with 2 forks and toss to coat. Fill hamburger buns with the pork and serve.